K Teleki October 13, 2013 downtown, People, what's next? 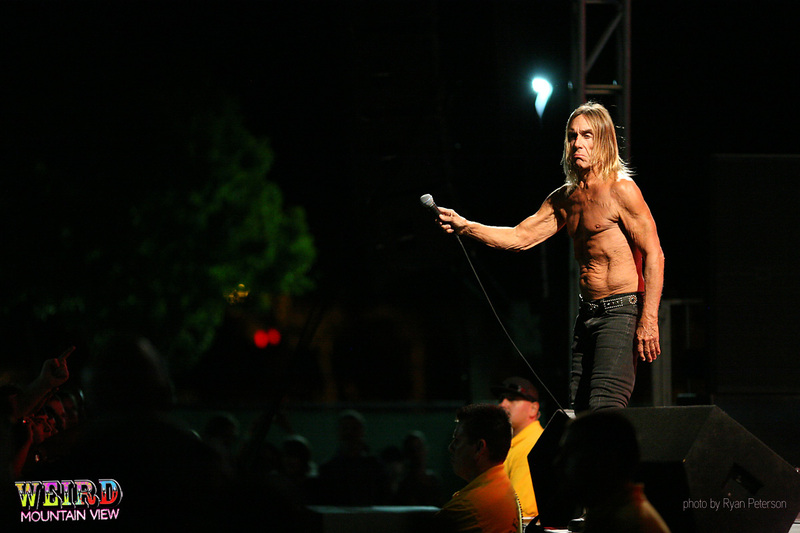 If you’ve never seen Iggy Pop onstage, then maybe you’ve also never stared directly into a solar eclipse for a few seconds. 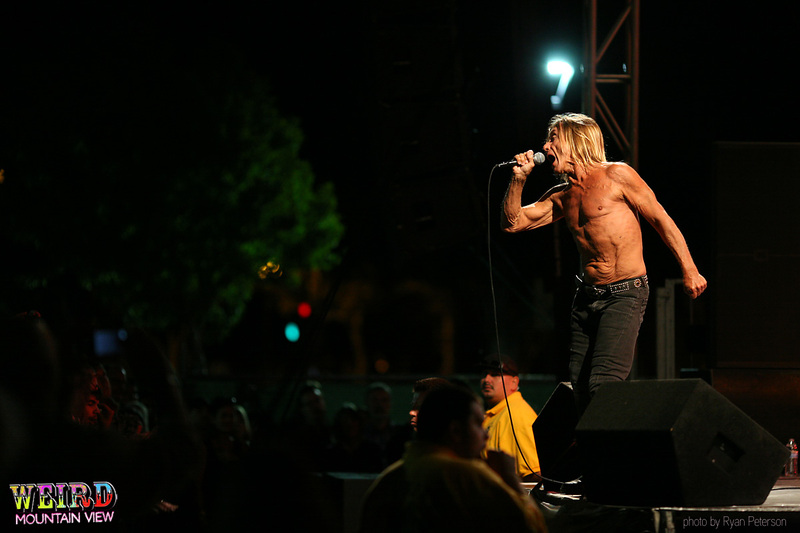 As reckless as a protopunk showman can be without going completely GG Allin, Iggy’s confidence and fearlessness will inspire you to be the wanna-be rock god you always knew you wish you were. Or, if you do posses an inkling of rock n’ rollness in your bones, you still can’t help but watch in awe as he erupts onstage and then pounds out, almost whips out, and then corrects the band if they mess up the timing. 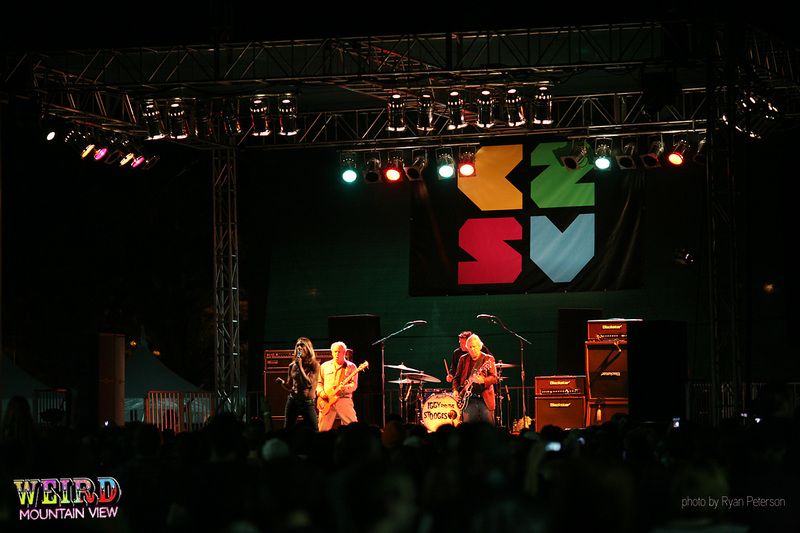 Iggy “refocused” his band twice during the performance at St. James Park in San Jose for the C2SV musical highlight. He also took several breaks during his set, the man is, after all 66 years old. But is he “old? 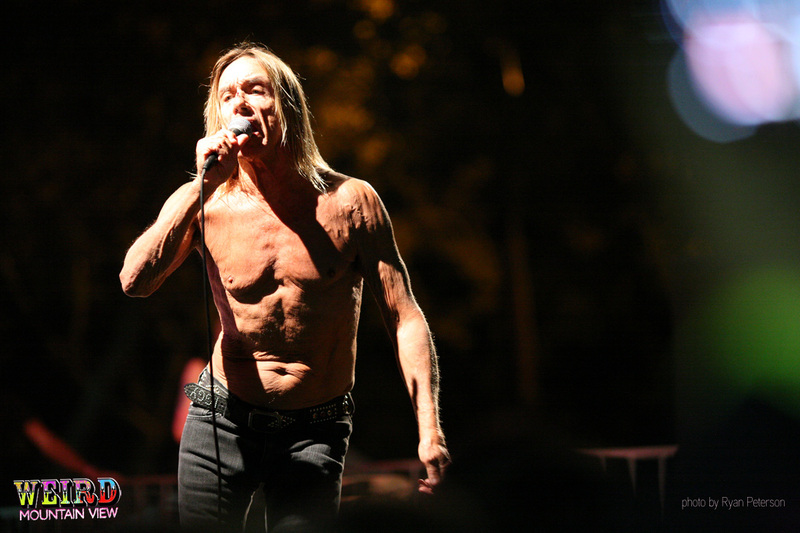 ?” Well, you’re only as old as your pacemaker, and the light of love and longevity has a way of selecting the few, the proud, the Keith Richards, and the Iggy Pop. 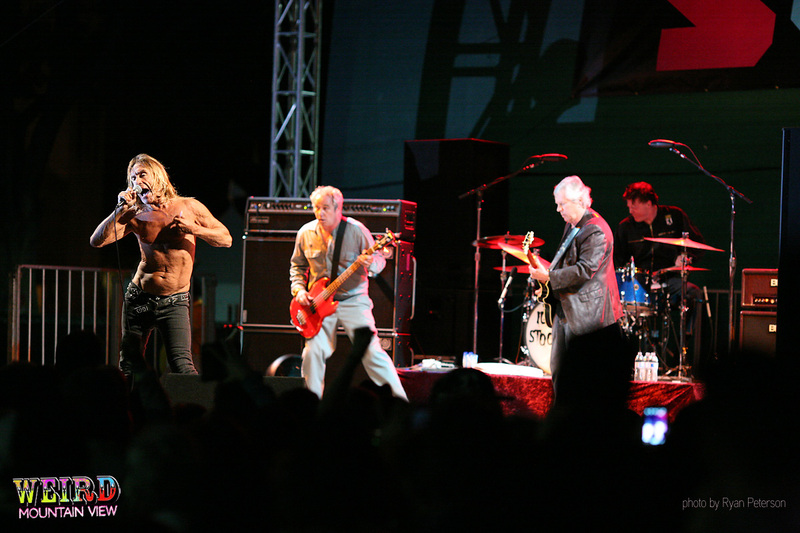 OK, to be fair this is Iggy and the Stooges so other band members shouldn’t go unmentioned, Steve Mackay (saxophone), Mike Watt (bass guitar), Toby Dammit (drums), and James Williamson (guitar). 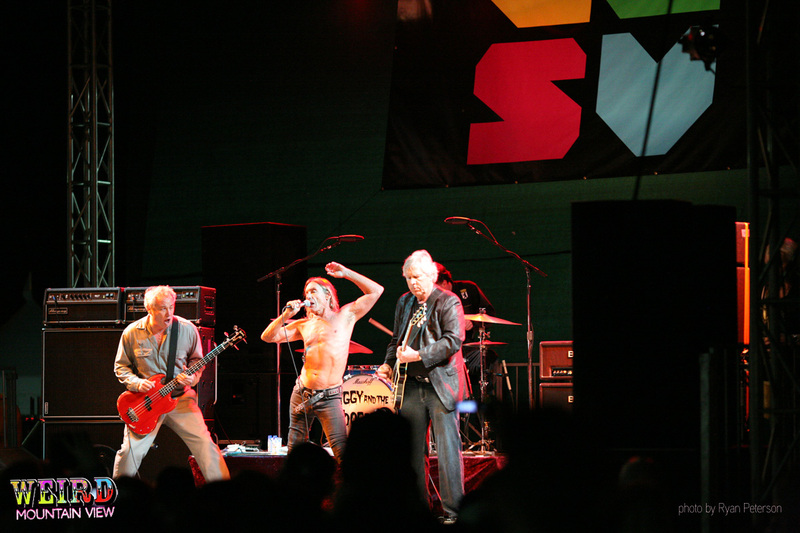 Mr. Williamson even spoke at the tech-conference portion of C2SV, really as an introduction to the musical part of his appearance, but touching on his 30 year career as an engineer in Silicon Valley after The Stooges broke up in 1974. 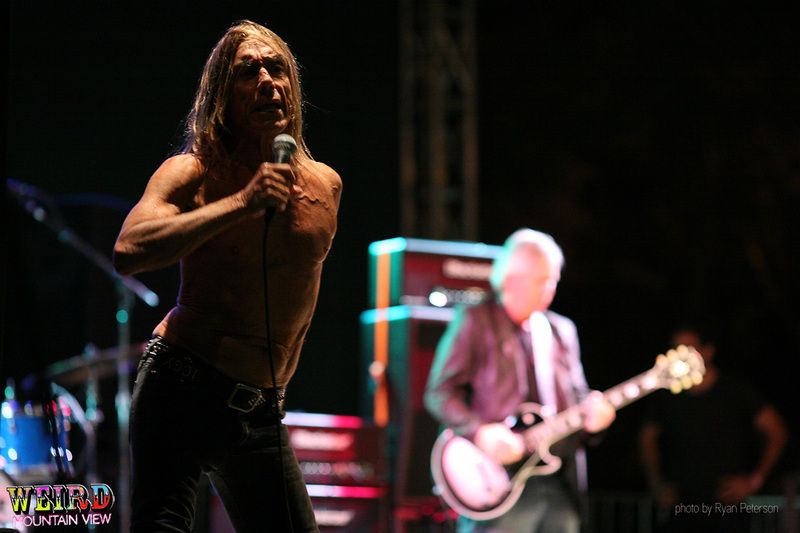 He rejoined a touring Iggy and the Stooges in 2009. 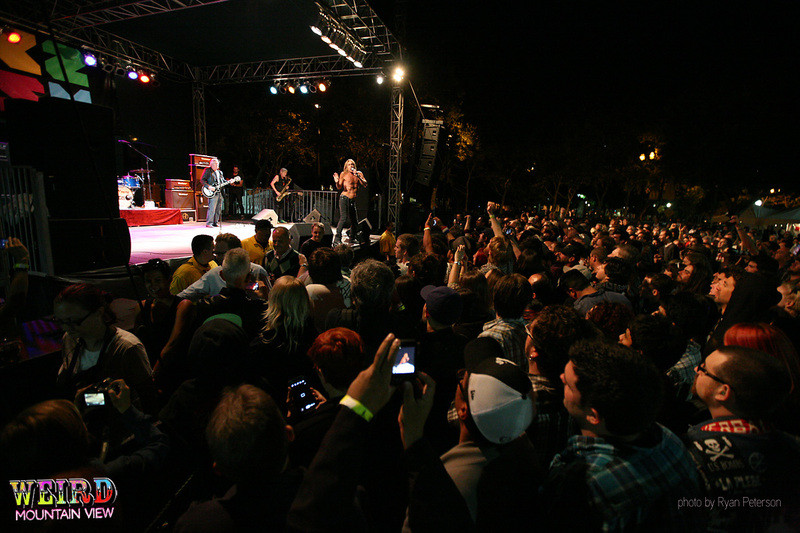 Everyone in St. James Park on Saturday, Sept. 28 knew how lucky they were to be at such an intimate venue with such living legends. The real thing outshined the hype, like being inside the Pantheon, or New York City. 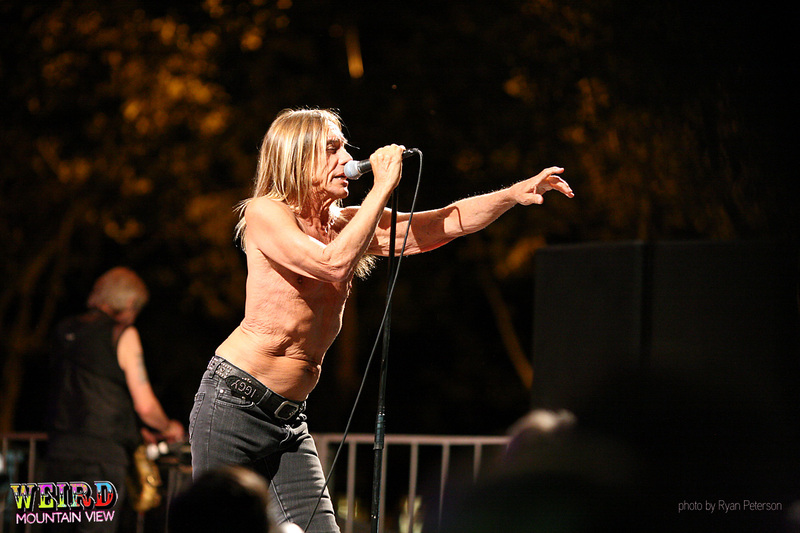 Iggy and the Stooges. Merry Christmas San Jose.